Well, now that most of y’all have had a chance to make it through my Missoula epic (or have at least skipped ahead to the good part), here’s another race report for ya. I promise it won’t be as long. Running yesterday’s Heart of the Hills 10.4 mile race probably wasn’t the smartest thing I’ve ever done in my running life. But, in my post-Missoula, BQ-laced euphoria, it seemed like a good idea. Why, I don’t know, but it didn’t fully dawn on me until I actually started running yesterday that maybe it wasn’t. 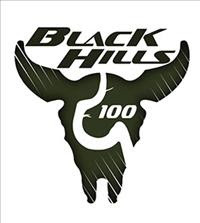 The Heart of the Hills is one of the oldest and most popular races in the Black Hills. 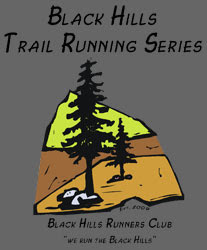 The race starts in Hill City and follows the old highway to Keystone (the nearest town to Mt. Rushmore). The distance between the two is 10.4 miles, hence the odd distance. The course itself is a bear, with a bunch of uphill in the first 3 miles including a lung-searing , leg-jellifying hill at the 1.5 mile mark, and then a general downhill with a few ups thrown in to keep ya honest in the remaining 7 miles. My past experience with this race is a large part of why I wanted to run it again so badly. I’ve run Heart of the Hills once previously, two years ago. On that day, with a pretty much fully rested body, I suffered through one of the most humbling race experiences of my life. The big hill combined with temps near 100 absolutely destroyed me and I was walking, and seriously thinking of DNFing, by mile 3. 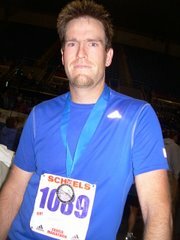 I made it through and finished in 1:28:29 (8:30 avg. pace). I felt like I’d just run twice as far as I actually had. 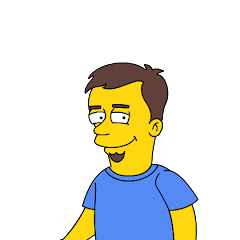 Last year, I missed (or was spared?) 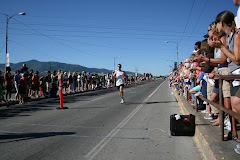 running Heart of the Hills because it fell on the same weekend as the inaugural Missoula Marathon. 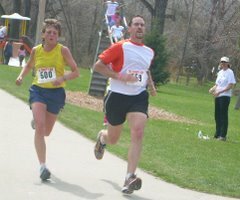 When I saw that this year’s race was a week later, I knew that I wanted to tackle that course again. When I was able to put the BQ demons to rest in Missoula, thereby clearing up my marathoning schedule for the fall, I knew I’d be back in Hill City. So, yesterday afternoon (the race starts at the odd hour of 6:30 PM), we were off to Hill City. The race starts at the 1880 Train Station there, which is, as the name implies, the station for an 1880-era train that hauls tourists back and forth between Hill City and Keystone. I signed up, got my very bright green shirt, and then stood around contemplating why in the name of all that is holy I thought this would be a good idea. My legs have felt surprisingly good since Missoula, but I had only run twice since then and those were very nice, easy recovery runs, not 10.4 mile races up and down hills. I knew my ultimate goal was to beat my CR/PR, but I also thought that if things went very well, I could match my pace from Missoula (7:14) and finish in the 1:15 range. Another goal was to place in my AG (I finished 4th 2 years ago), which would earn me a cool railroad spike award. The weather at least was better than last time, with starting temps in the low 80s and a slight breeze in our faces. So, no 1:15, but that was an arbitrary goal anyhow. I did achieve the goal of getting my CR/PR (the two are basically one and the same in this case…..how many 10.4 mile races have you run??). And, I got my cool railroad spike (apparently those two guys weren’t in my AG). My hamstring was NOT happy about the situation and was mighty tender last night, but feels much better this morning after some ibuprofen and ice. 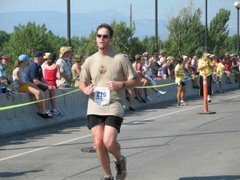 I would love to run this race again on rested legs, but given that it will probably always be near the Missoula Marathon (which takes personal priority), I’m not sure that will ever happen again. So, now what? Not a damn thing, that’s what. I think it’s time to rest…. I've been "resting" since the Mick and two triathlons afterwards. I think I burned out. I am kicking around attempting the Mt. Rushmore in Oct. but I am not sure yet. I'm still having achilles problems. Anyway, I wanted to mention that the Hills run course is one of my favorite bike rides. I live on Hwy 40, so I often bike to Keystone and then go on to Hill City and meet the family there for lunch. It's a pretty ride.